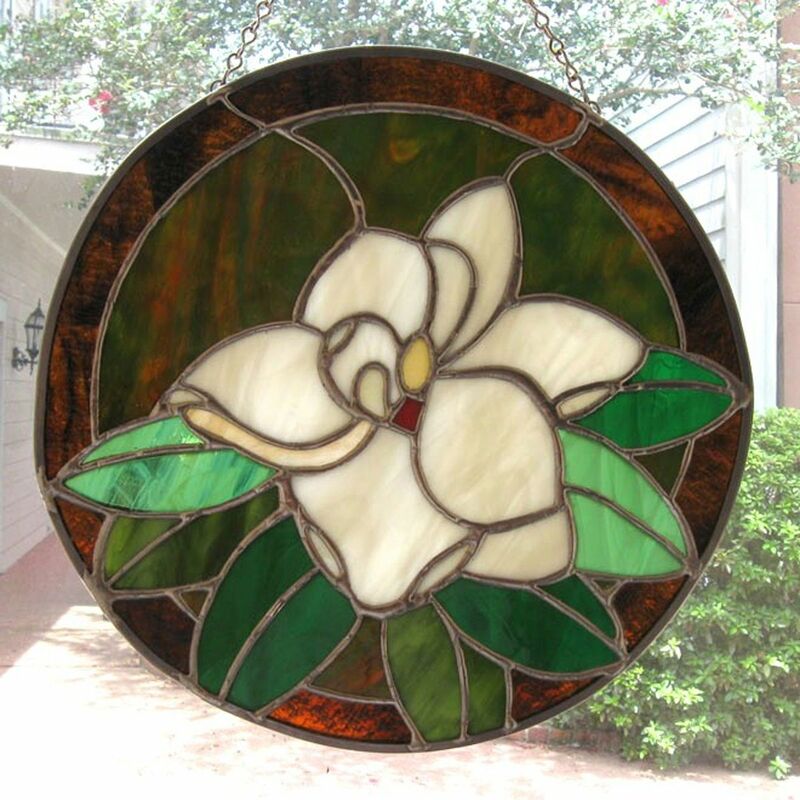 Nothing symbolizes the south more graciously than the magnolia, captured here in a 12" diameter copper-foiled window. Rich shades of browns and greens highlight the creamy white of the flower blossom. This piece is no longer available but can be custom ordered.